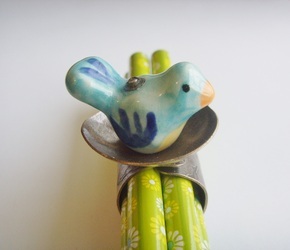 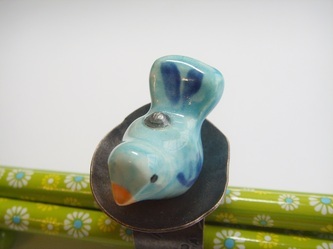 This cute & bold ring feels like spring & will make quite a statement as it is approximately 1 3/4" high from base of ring to tallest part of bird!! 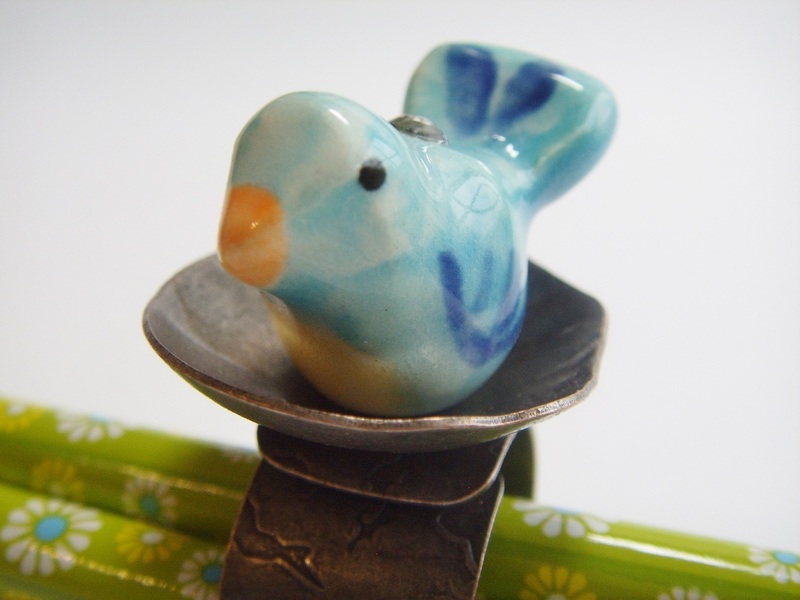 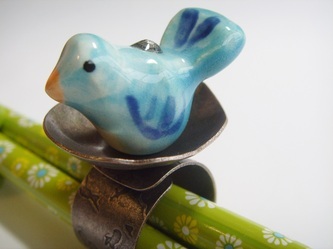 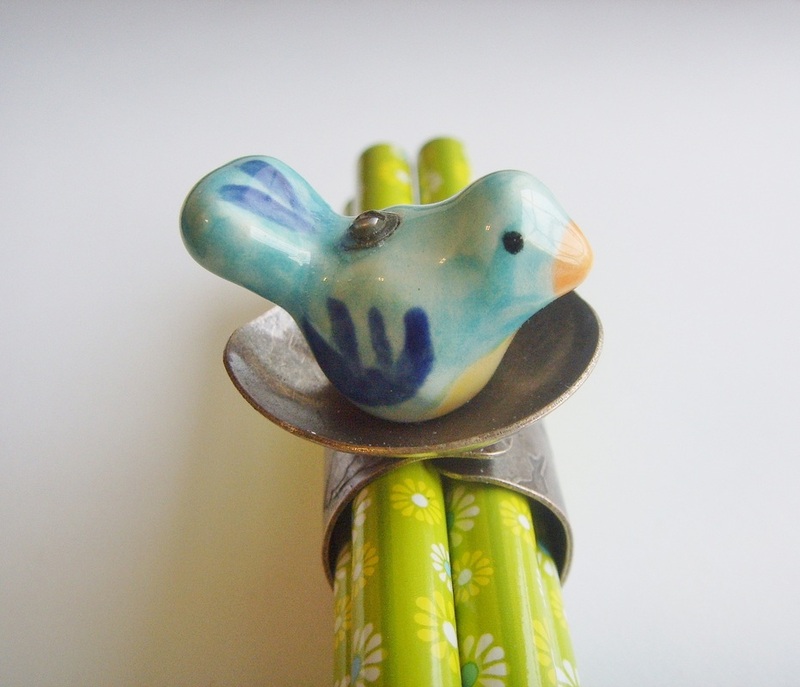 I used an Industrial Chic by SLK ring base & secured a cute ceramic blue bird, from Jennifer Jangles, to the ring base with a steel fastener. 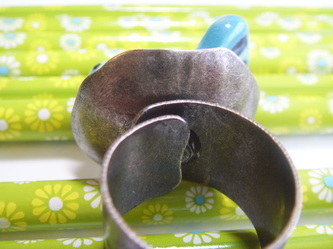 Both the top of the fastener & the bottom have been sealed with a coat of resin to prevent rusting & to ensure no rough edges are felt. 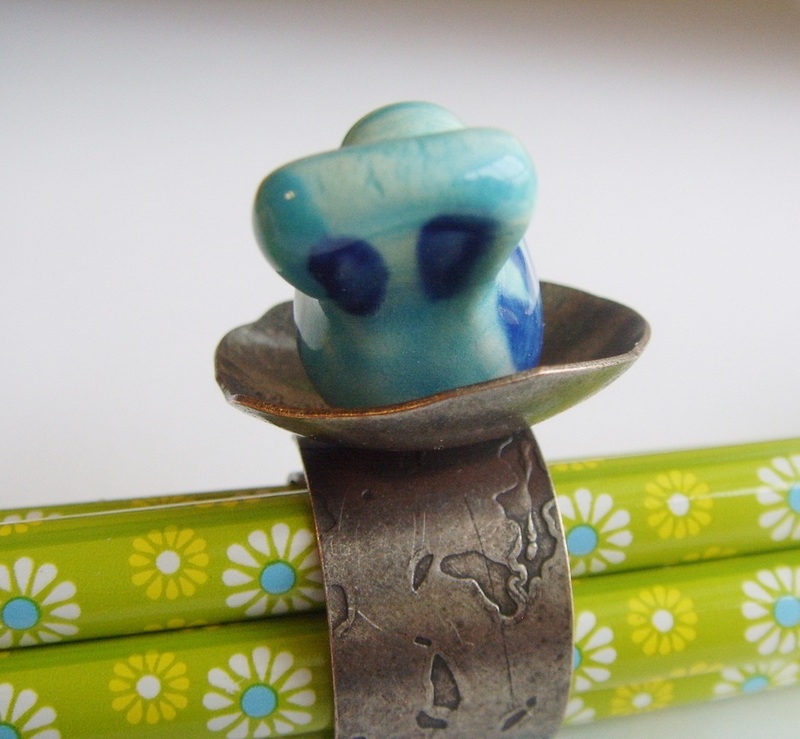 Free first class shipping & handling to the U.S.A. This ring is one of a kind so the ring you see here, is the ring you will receive. 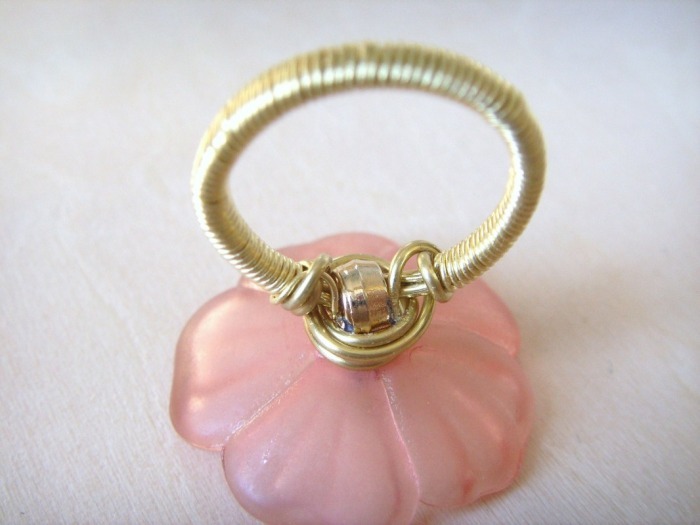 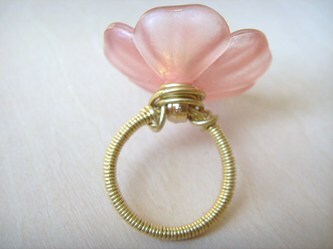 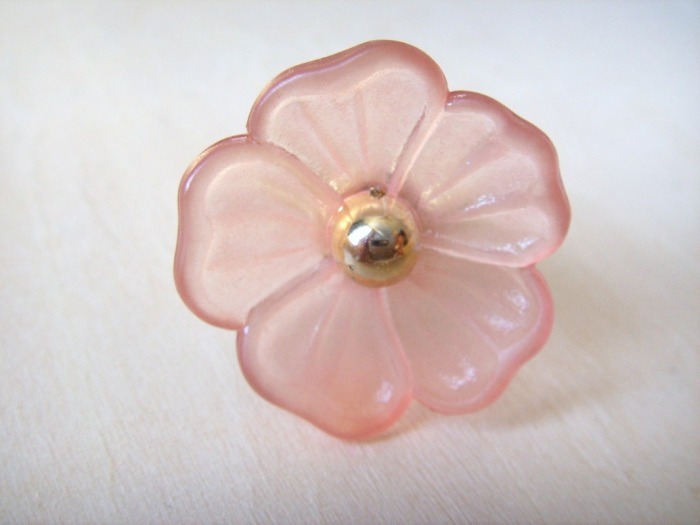 Comprised of a small pink frosted flower button & a hand-formed brass wire shank. Flower measures approximately 1" in diameter.